Salt is a common household commodity that many people keep plenty of in their kitchens. Salt is used for preserving and for flavoring, and it is made to help balance the taste of foods in certain ways. Salt has been known in the past to help with the moisture retention in tenderizing meat, which is beneficial for many reasons. As a natural mineral, many people have attacked salt recently saying that it can entice people to overeat and their sodium intake can raise blood pressure. 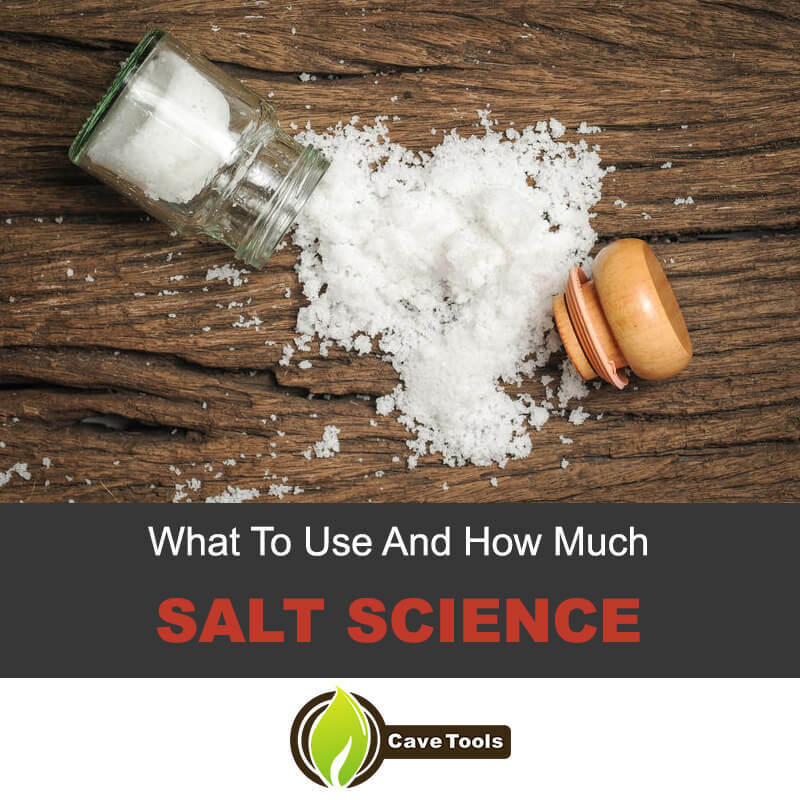 However, salt is not a bad thing when used in the right ways.​ Salt Science: What to Use and How Much? Let's answer these questions in this article! 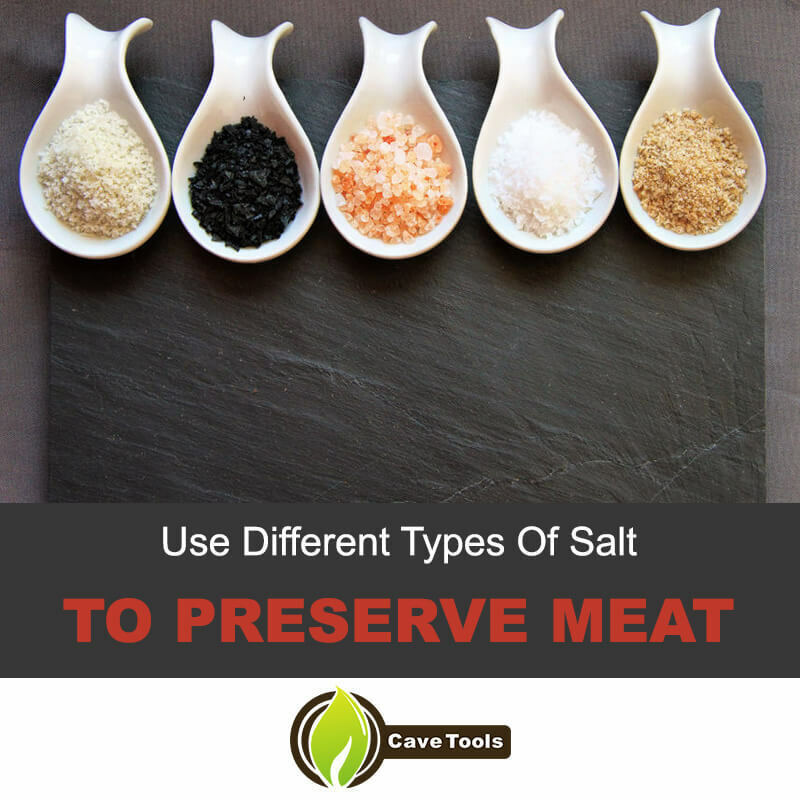 To preserve meats and prepare them for cooking, you will need to use several different types of salt. 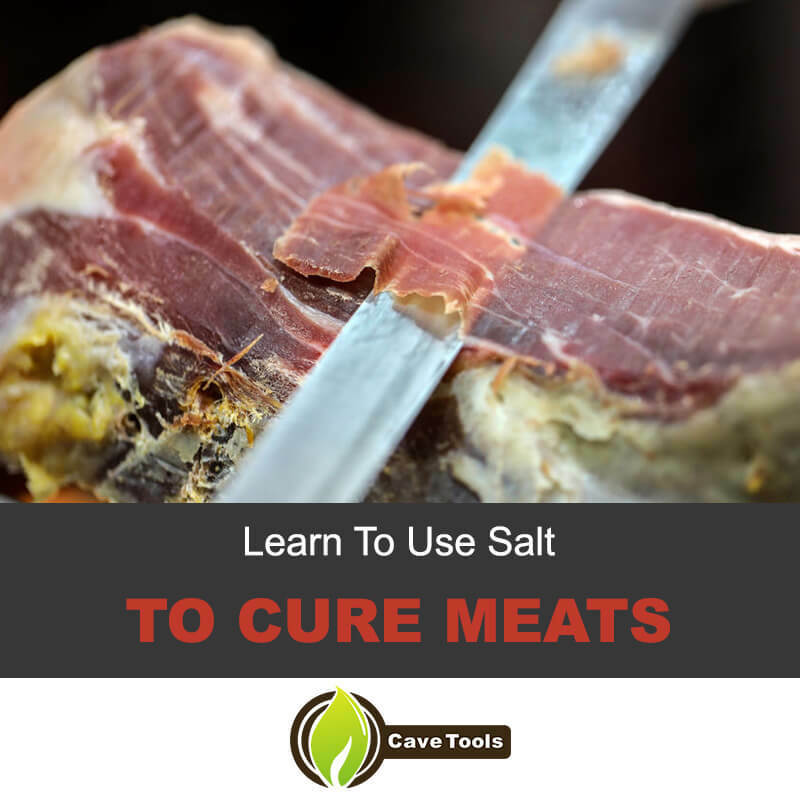 However, you should always be aware of the amount of salt you are adding and be aware of the amounts for each type of curing salt you need in proportion to your meat to avoid over-curing. How much salt you add is very important. Here are the types of curing salts used most often. Prague powder #1 (also known as Insta Cure #1, Pink curing salt #1, or Sure Cure) is a powder comprised of plain sodium chloride with just 6-percent sodium nitrite. There are even a few anticaking agents inside the powder as well as a bit of red dye to make it pink. The pink shade is simply to avoid mistaking this curing salt for normal table salt. Prague powder #2 (also known as pink curing salt #2) is another type of curing salt used often. It is composed of 6-percent sodium nitrite, 4-percent sodium nitrate, and sodium chloride for the other 90-percent. There are the same red dye and anticaking agent in this curing salt as well, and it is used most often in meats that will be preserved for only a few months or weeks. Saltpeter is just another name for potassium nitrate, often used to cure meats. Morton Tender Quick only contains 0.5-percent of both sodium nitrate and sodium nitrite as well as the anticaking agents. It is not a tenderizer despite what the name may imply. Step number one is perhaps the most important step of them all because this is the step where you will be preparing both your meat and your cure brine to flavor the meat and preserve it. You will first need to choose your meat and the cut of meat you wish to cure. Ham is perhaps one of the most popular options because pork tends to be more forgiving than beef or venison. You need also to choose your method of curing. Do you want to dry cure the meat or do you want to wet cure the meat? Both options will be discussed below. After you have chosen your ideal cut of meat and type of meat, you can begin to prep it for the curing process. 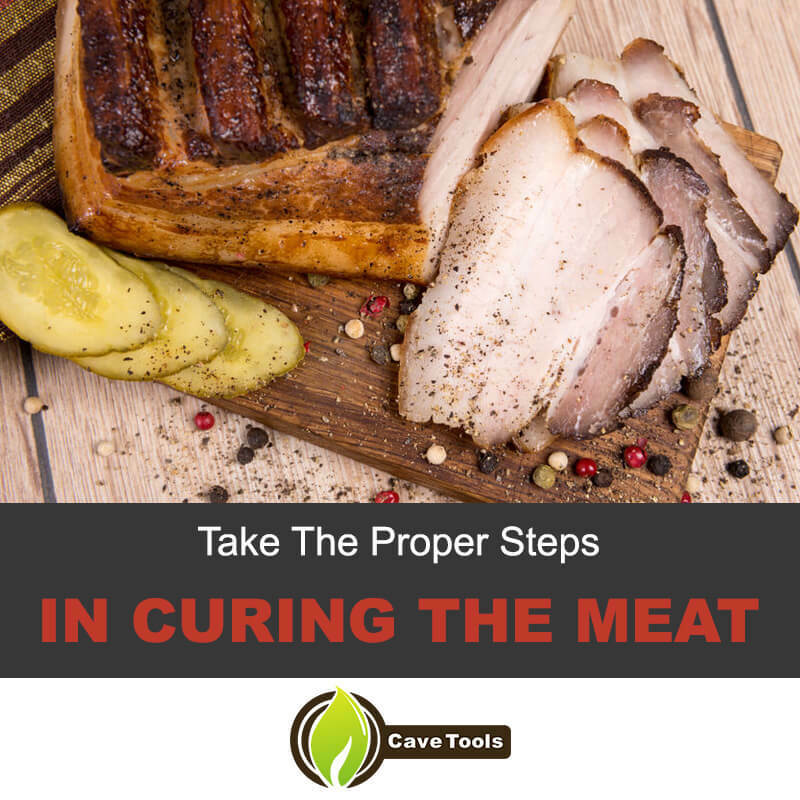 It doesn’t matter if you choose to dry cure or wet cure your meat, you still need to take the proper steps to prepare it for the curing. First, you need to trim off any of the excess meat, tendons, or fat. This is important since you don’t want a bunch of excess anything when trying to cure meat. Next, you will need to take a prong and stab the larger cuts of meat to help ensure that the brine cure gets all the way into the meat for better coverage overall. This also helps the nitrite and salt to get further down into the meat to improve the effectiveness of the entire process. Wet curing is a faster process than dry curing, though the process is the same. When you are wet curing your meat, you need to first gather up your ideal brine. There are many great brine recipes you can use to give different types of flavors to your meat. Once you have your brine together, mix the ingredients, and add a gallon of water. Bring all of the mixtures to a boil on your stove, then allow everything to cool down entirely before moving on. Once your brine is cool, add the meat to a brining bag with the brine, ensuring that there is enough room for everything to rest. If you need to, you can always add some ice water to the brine to help dilute it for larger pieces of meat. When everything is inside, mix it thoroughly before sealing up the bag for resting. Next, your brining period is going to depend on the pounds of meat you have there to brine. For every two pounds of meat you have, let the meat sit in the refrigerator for one day. If you can, turn your meat once at least every 24 hours to allow your brine mixture to work in an even way. If your meat needs to sit more than seven days, you should change the brine out to avoid spoiling your meat. Once it is done brining, you can rinse the meat off in cold water, and allow it to sit on a mesh screen for at least 24 hours. You want to make sure you are doing this in a well-ventilated area. Once it has drained, you can store your meat in the refrigerator for as long as 30 days. When you get ready to eat your meat, smoke it for a delicious flavor. When you start dry curing your meat, you need to get the type of curing salt you want to use. First, you should determine whether or not to use pre-mixed curing salt or make your own. Making your own can be a complicated process, and you need to ensure that you have the right ratios of salt and nitrite to get everything right. If you choose to use pre-mixed curing salt, you can go ahead and measure it out according to the amount of meat you are curing. Mix in your spices as well to ensure a delicious flavor to the meat. Once everything is a mix, take the curing salt and spices and rub them all over the entire cut of meat chosen. This means you need to cover the entire cut. Next, you want to lay the meat on a bed of the curing salt. If you choose to use a metal try, be sure to use parchment paper between the meat and the metal tray. The metal will react with the sodium nitrite and salt mixture. Next, cover with more parchment, add another tray, and use a heavy object to weigh the meat down. You should refrigerate your meat for at least seven days, though you can go up to ten to be safe. You need to ensure that the meat has sufficient airflow, which can be done by leaving some of the meat uncovered. Once the drying process is finished, take the meat out, rinsing it off well and with cold water. You should allow the meat to dry on a rack for a bit, and you can use a paper towel to wick up any excess moisture. Be sure that the meat is as dry as possible to ensure preservation and freshness as the meat is put up to age. You need to then wrap your meat tightly in cheesecloth to help get rid of moisture to allow drying as the meat ages. The cheesecloth should be folded over on both sides of the meat cut; it should be bunched at the ends, and tied into knots. Next, label your meat with the type of cut and the date before you hang it in a cool and dark place. You should allow it to hang between two weeks for two months, and your location should be void of much light and have a cool temperature of 70-degree Fahrenheit. After it has aged, you can serve the meat, cook it how you want, and more. If you have any meat left, be sure to store it back in the refrigerator to preserve the freshness and prevent spoiling. If you want to learn to cure your own meats, the process is both an exciting and fun time to learn about the art of preserving meat. In fact, many people used these same techniques before refrigeration was used to preserve and save meat. Salt is an important commodity that has been valuable for cooking and curing meat for years. It has been important for flavoring, preserving, and balancing of the flavors of certain foods. Some people blame salt intake on the high blood pressure and consequently heart attacks, heart diseases and cardiovascular diseases, even kidney diseases and many other that the human body can acquire, but if you follow dietary guidelines and your sodium levels, salty foods that you make at home won't do you harm. If you’ve learned something new about curing meat, you can share this article and tutorial with your friends. There is nothing more exciting than preparing and preserving your own meats for smoking and cooking, and the science of salt is valuable to the entire process of curing the meat. What does it mean for meat to be cured? Curing meat is a general term that refers to a way of preserving meat. Meat was originally cured because there was little or no refrigeration. When the meat is fully cured, the growth of microorganisms is slowed. You can preserve meat with salt (or, nitrite salt aka pink salt), hang it in a cool area to dry age it, or you can smoke the meat or cook it in a very low oven. When curing meats, pink salt does not refer to Himalayan salt. Pink salt is also referred to as cure #1 and it contains nitrites. These nitrites speed up the curing process and give meats like bacon and pastrami their characteristic pink color. What is the difference between kosher salt and table salt? All salt is sodium chloride, but salts can be different depending on the way they are processed and any additives are included in the final mix. Kosher salt is generally very large flakes of salt, while table salt is very fine and granulated. Table salt also has the addition of iodine, which is why it’s sometimes called iodized salt. What is a wet cure? Wet curing refers to preserving meats in a brine solution. The fresh meat is usually injected with the curing solution, so the brine works from the inside and from the outside. It is most popularly used to cure ham. How long does it take to cure meat? The curing process largely depends on the size of the meat. A very large cut like a pork shoulder can take about two weeks, while a small cut like salmon might be finished in a few hours.